Mr. Damiano joined the firm in 2013. From 2012 to 2017 he was President of New Business Development for Esselte, with global responsibility for new business development and product innovation. From 2010 to 2011, Mr. Damiano was the Chief Operating Officer of Velcro Industries, the premier worldwide manufacturer of innovative fasteners for the consumer, industrial and healthcare sectors. 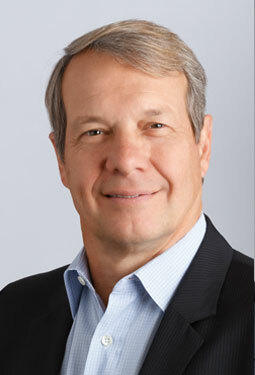 From 2008 to 2010, Mr. Damiano served as the Chief Executive Officer of Idea Paint, a manufacturer of high performance dry erase paint formulated for the commercial, educational and consumer sectors. Previously, he was the President of DYMO Corporation from 1998 until 2008. In that capacity, he was responsible for the business’ worldwide operations and played a key role in the division’s sale from Esselte to Newell Rubbermaid in 2005. DYMO is a leading manufacturer of labeling devices and related supplies targeting the office, consumer and industrial segment. He grew the businesses from $100 million in sales to over $300 million during his tenure. From 1989 to 1998, Mr. Damiano was the CEO of CoStar Corporation, a company he co-founded, which was acquired by DYMO in 1998. In 1981, Mr. Damiano co-founded Kensington Microware, a manufacturer of all-in-one PC power units, trackballs and accessories. Kensington was sold to ACCO World Corporation in April 1986. He currently serves as non-executive Chairman of Walker Edison and Outward Hound, and is a Director of Shoe Sensation and KeyImpact. His previous portfolio company involvement includes Esselte. Mr. Damiano holds a B.S. degree in Computer Sciences from Boston College.